Give back to Concordia Lutheran High School just by using your Kroger Plus Card. "Kroger is committed to helping our communities grow and prosper. Year after year, local schools, churches and other nonprofit organizations will earn millions of dollars through Kroger Community Rewards®. Kroger Community Rewards® makes fundraising easy. 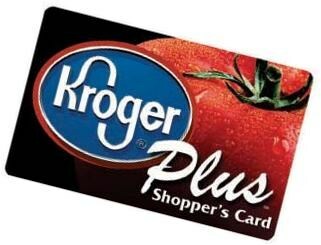 All you have to do is shop at Kroger and swipe your Plus Card!," according to its website. Sign up through your Kroger account or visit www.krogercommunityrewards.com and enter Concordia Lutheran High School. Are you a Thrivent member? You can direct your Thrivent Choice Dollars to Concordia Lutheran High School. Click here to get started. Do you shop on Amazon? Help your shopping support Concordia! Visit https://smile.amazon.com and shop through the site just like you would on the regular Amazon site. Through your account, you can select your charity (Concordia Educational Association, Inc.), and you will support our students.